JKS_cri_j[장근석의 든든한 빽! 장어들의 스위치 응원 이벤트] 'Blue eels☆絆'에서 촬영 끝날때까지 커피차를 서포트합니다! 장어들이 준비한 마지막 커피차입니다! 밥차와 커피차를 촬영 끝나는 순간까지 서포트해주시는 울 장어님들~ 정말 최고싶니다 bb 서포트에 참여해주신 장어님들 모두 감사합니다!! 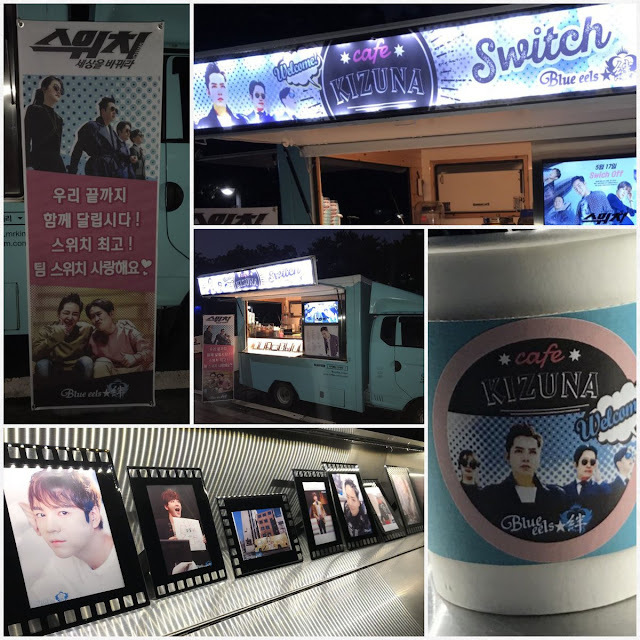 Posted May 16:【Jang Keun-Suk's reassuring supporter eels SWITCH support events】 The group supporting the coffee truck until the filming finishes is 'Blue eels☆絆'. This is the last coffee truck that has been prepared for the event! 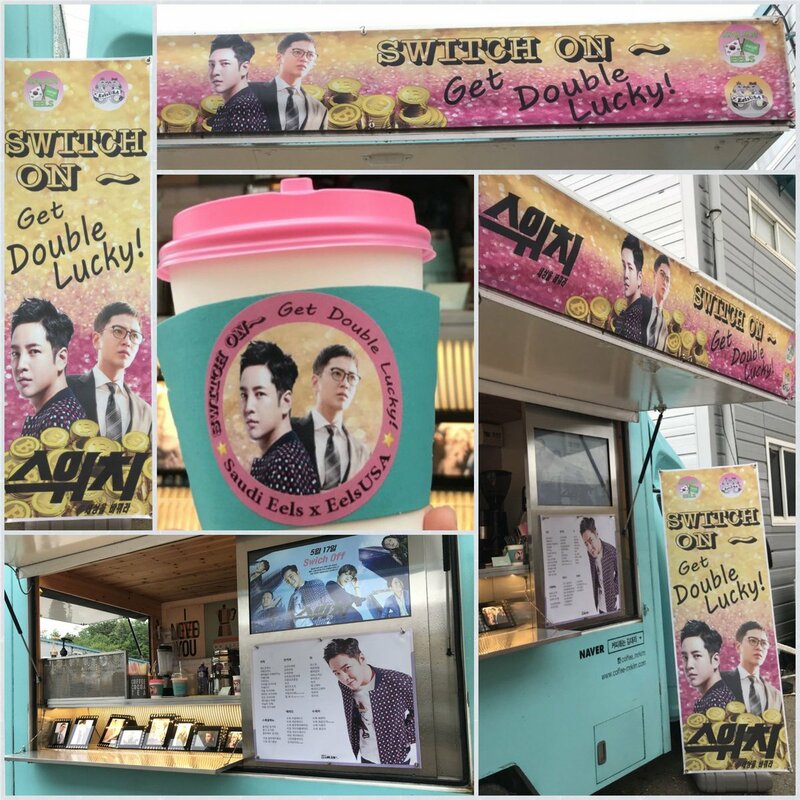 Those eels who support the meal and and coffee trucks until the shooting finishes are really the best. A special thank to those who join this supporting event! JKS_cri_j[장근석의 든든한 빽! 장어들의 스위치 응원 이벤트] 오늘 저녁은 'Mr JKS JP'에서 밥차(보쌈+세미 뷔페)를 서포트하였습니다! 장어들이 준비한 마지막 밥차입니다! 맛있게 드시고 촬영 마지막까지 힘내세요! 스위치로 행복했습니다! Posted May 16: 【Jang Keun-Suk's reassuring supporter eels SWITCH support events】 The dinner for tonight is Bossam and semi buffet supported by Mr. JKS JP. This is the last meal that has been prepared by eels. Enjoy the meal and cheer up until the end of the shooting! With Switch we feel so much blessed! JKS_cri_j[장근석의 든든한 빽! 장어들의 스위치 응원 이벤트] 오늘 점심 커피차는 ' Saudi Eels and Eels USA '에서 서포트하였습니다! 스위치 촬영 마지막까지 힘내세요!! 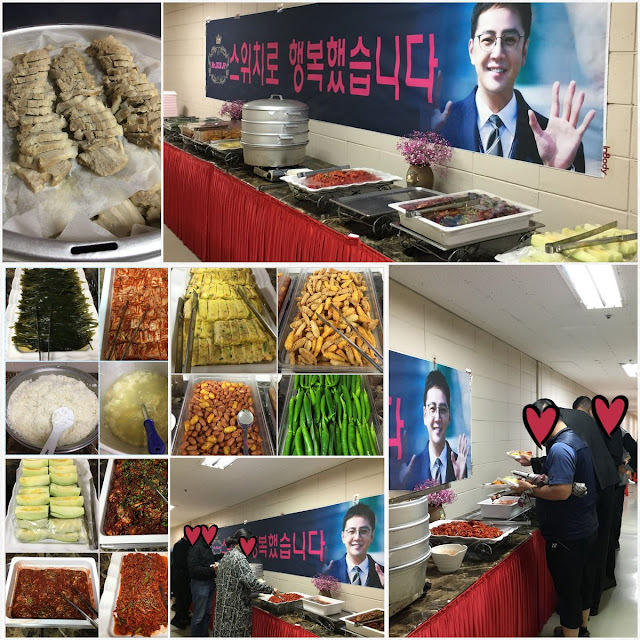 Posted May 15: 【Jang Keun-Suk's reassuring supporter eels SWITCH support events】 Today's coffee and tea were supported by Saudi Eels and Eels USA! Enjoy Switch shooting until the end! JKS_cri_j[장근석의 든든한 빽! 장어들의 스위치 응원 이벤트] 오늘 점심은 'JAPANEELS+' 밥차(갈비탕+세미 뷔페)를 서포트하였습니다! 점심 맛있게 드시고 스위치 재밌게 마무리 부탁드려요~!! 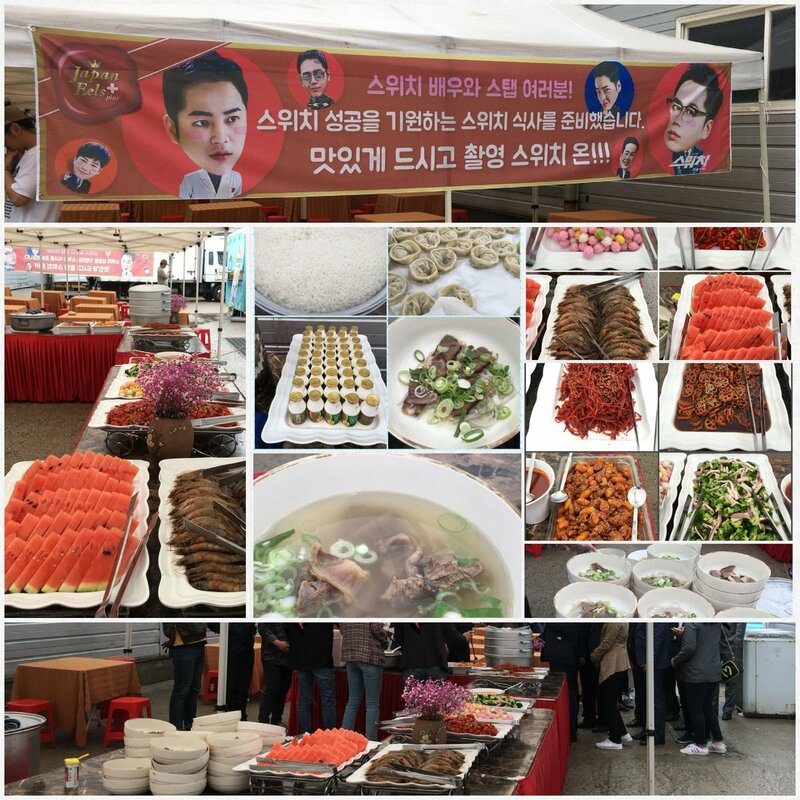 Posted May 15:【Jang Keun-Suk's reassuring supporter eels SWITCH support events】 Today we have JAPANEELS to support rib soup and semi buffet for lunch. Enjoy the delicious meal and finish the shooting of Switch with fun! [장근석의 든든한 빽! 장어들의 스위치 응원 이벤트] 오늘 아침일찍부터 'SWITCH Special Forces'에서 커피차를 서포트하였습니다! 스위치 촬영 마지막까지 화이팅입니다!! 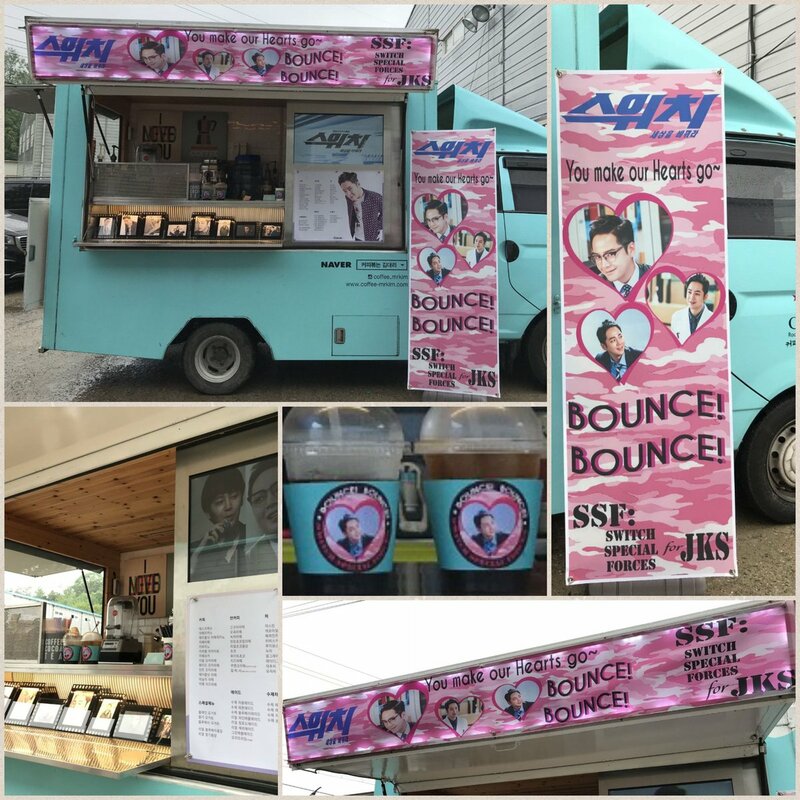 Posted May 15: 【Jang Keun-Suk's reassuring supporter eels SWITCH support events】 Early this morning "Seitch Special forces" supported the coffee truck. Cheer up till the end of Switch Shooting !